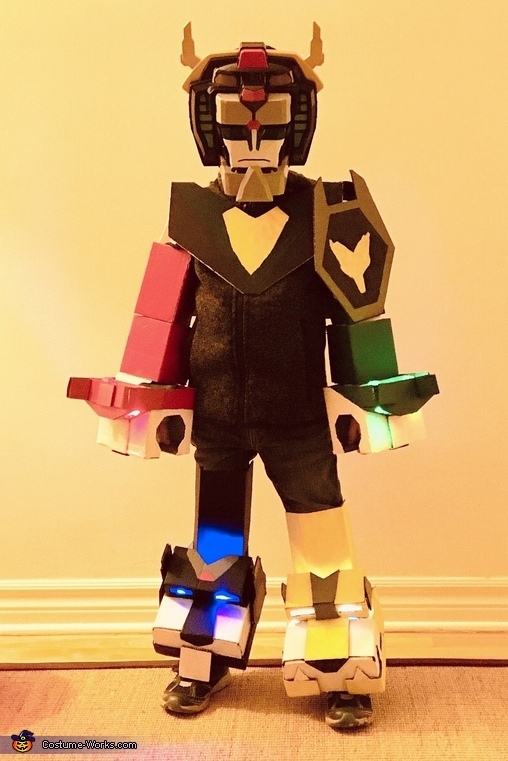 Our five year old son dressed as Voltron. All pieces made of cardboard and painted (excluding mask and sword). Working lights for cat eyes!